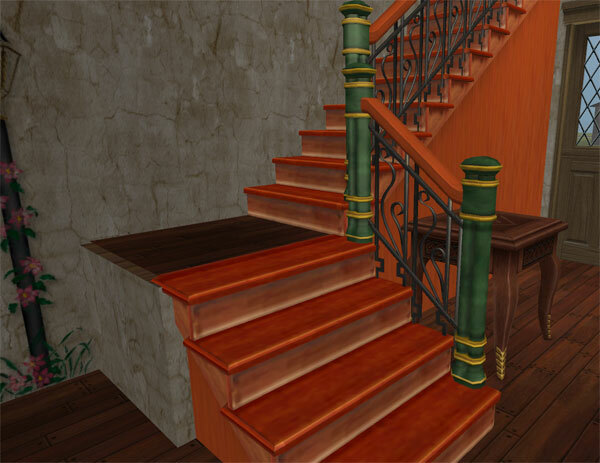 Maxis Art Nouveau Modular Stairs from the Base Game now made recolorable. 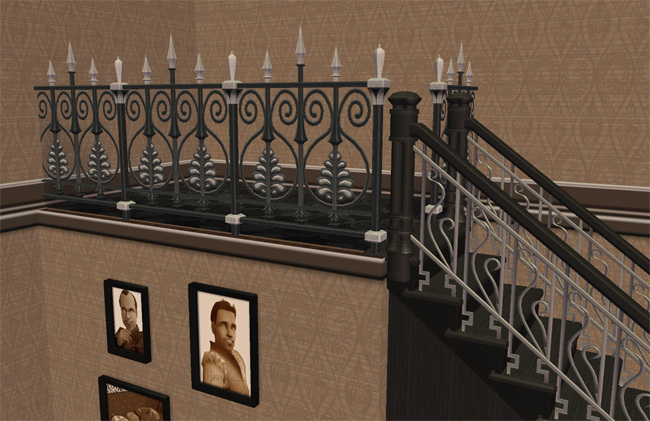 I like the style of these stairs, but they match almost nothing! So I have made them recolorable, and have included one black/metal recolor. The color also matches the Linear Eloquence Fence which was used as my inspiration color combo. Also includes a fence and gate. The fence is a new clone (only way to recolor fences) but the original mesh is by nihilin as well as the gate mesh. You must have the gate mesh if you want my black gate recolor!! The fence by nihilin is optional. Note: This allows passage under the first tile next to the wall, including placing a door. The sims will walk right through the base of the stairs. * Place in your downloads folder. There is no need for a script file since this is overriding the original steps. * To remove and have the default non-recolorable stairs back just delete my file from your downloads folder. * Use Recolor tool to recolor individual stairs - if having difficulty with 2nd step, go down one floor. * In Object Workshop, select Open, select my mesh, then select Recolor. Numenor for the original concept and execution of recolorable stairs. nihilin for the Art Nouveau Fence and Gate. 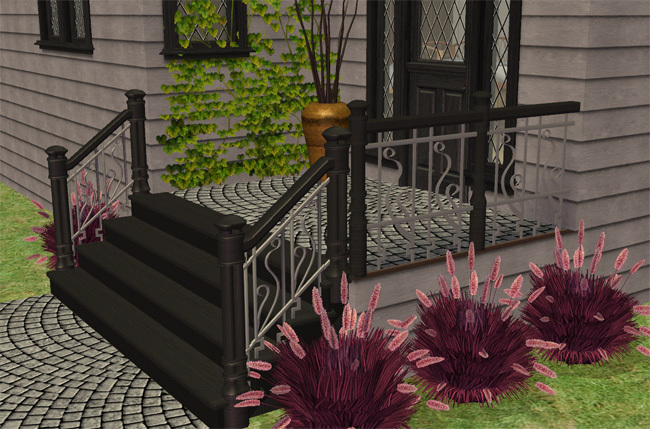 Art Nouveau Stairs, Fences and Gate recolours. Match Maxis VIP Deluxe colours. 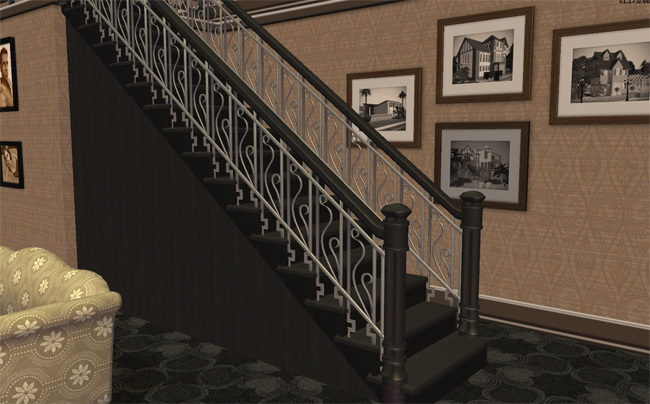 Art Nouveau Stairs - Now in many choices! Match any decor! These recolours may or may not be endorsed by HugeLunatic.